Need some great ideas for a couple of quick projects? Meet the Waves Shawlette and the Fleur-de-Lis Wristers. 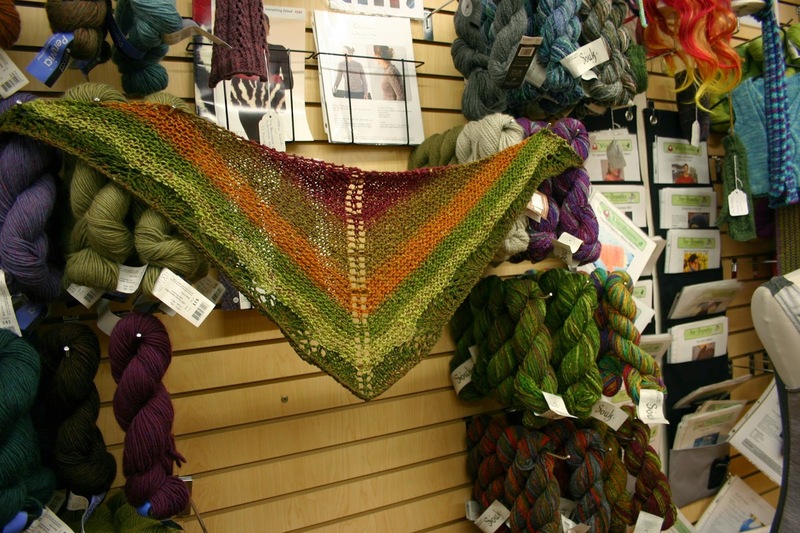 Have you met Souk yarn? Souk yarn comes in awesome colors, and is a very cool silk and wool blend self-striping yarn.... and yes, it works up as a long self striping yarn. Souk yarn is a blend of silk and wool to make a fabulous garment that is warm with drape. Bits of sari silk are sprinkled throughout making this yarn glow! The Waves Shawlette is a quick to knit shawlette made from only one skein of Souk. This shawlette is worked from the neck down and is worked to a beautiful lacy edge. This shawlette can easily be lengthened using a second skein of yarn prior to adding the edging. The Fleur-de-Lis Wristers are another beautiful project that work up fast using one skein of Souk. 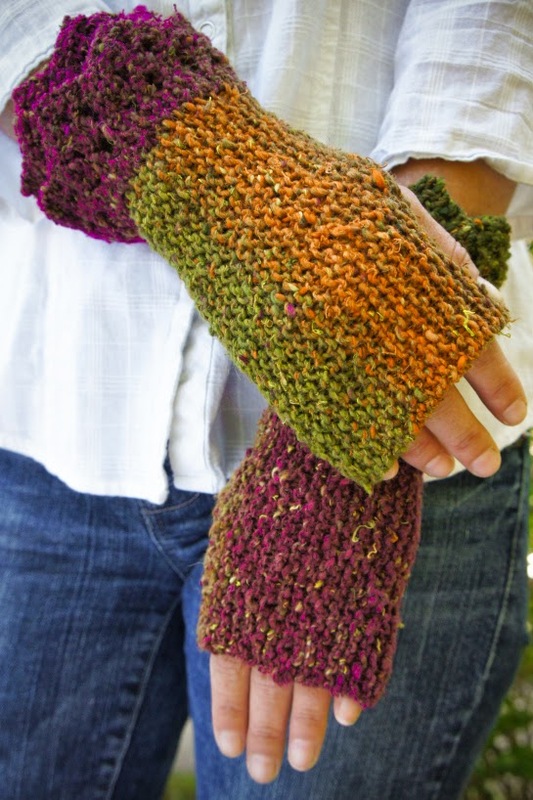 The colors are yummy and will please both the knitter and the wearer. Fleur-de-Lis Wristers are made quickly and easily with a simple garter stitch hand and an easy lace edge. Both patterns are available as free downloads on our website. Have a great day!